Attached to your tablet? Now, you can take it underwater! 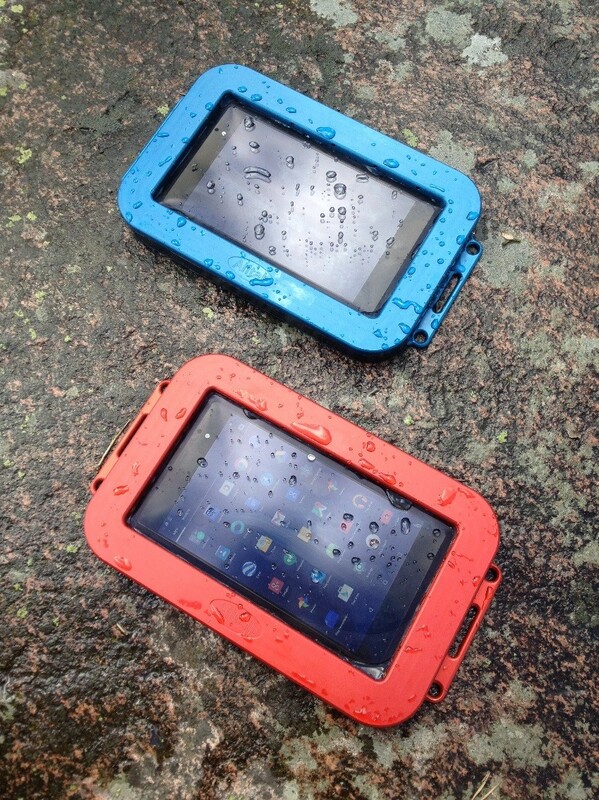 In this post, the makers of the Alltab, tell us all about their latest product and what it can do for divers. In today’s world we are used to technological devices that make our work faster and easier. Whether you brush your teeth with an electric toothbrush, drive your car or check your email from your smartphone, it has all become a part of our normal daily routine. The speed of technological development has been breathtaking. The diving equipment are far from what they used to be 20 years ago and still evolving – only some areas remain fairly the same or with only small changes. There has existed some gadgets to ease data collection underwater, but most tasks must still be completed by a diver itself. The data collection on the surface has been revolutionized by the technology used today so why not also under water? A Finnish company wanted to improve their data collection methods towards more effective and precise practices and the idea for an underwater tablet was born. 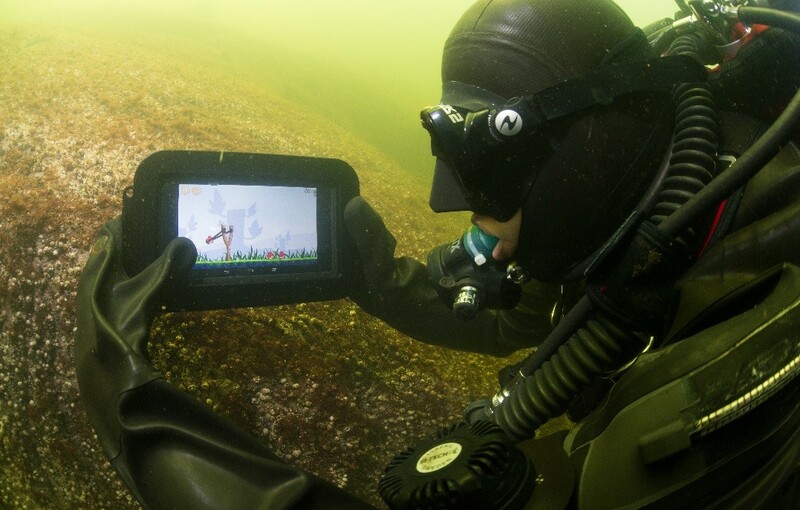 As a result a tablet with a fully functional touchscreen was developed for underwater use, and launched at the Eurotec diving conference in Birmingham in the fall of 2014. This innovative and robust piece of equipment can be taken down to 150 meters while you are still able to use the touchscreen with or without gloves. One may ask for what do you need an underwater computer. But the real question is for what do you NOT need it? 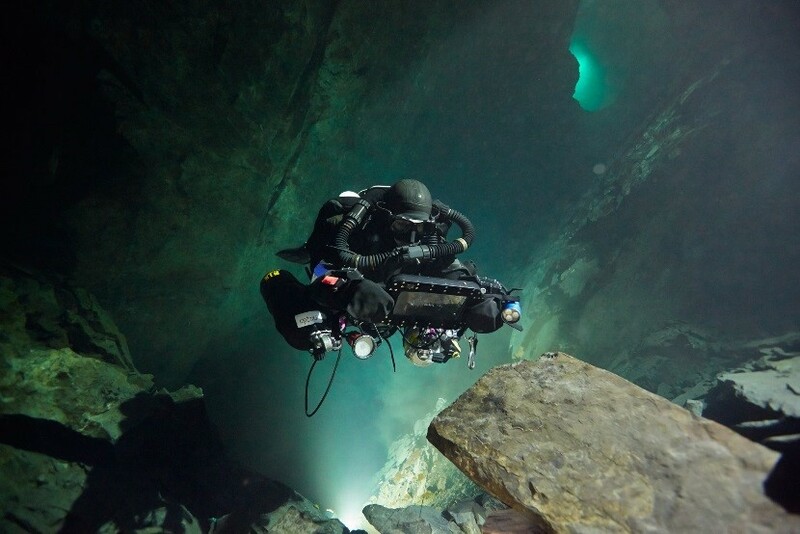 In the scientific diving circles it has been welcomed with open arms and proved to be a necessary tool, technical divers can use it for bringing along all types of data, such as interactive maps, exploring caves, taking pictures and video etc. With help of technology work can be conducted more efficiently and more reliably. Diving instructors may carry along training materials in an electronic format, record the students’ progress under water and give instant feedback. Last, but not least, why not make the deco time a little more fun – playing Angry Birds or watching a movie during decompression can make the otherwise boring deco much more fun. Click for more info or watch a short video of the Alltab in use. Next PostNext Tekcamp 2015 – Join Me There!